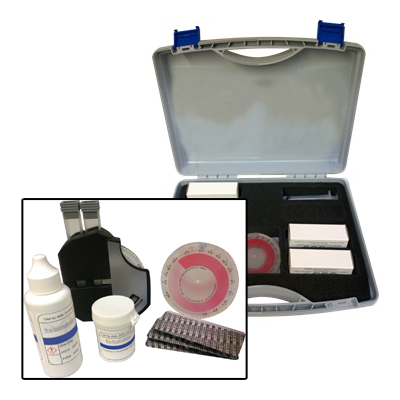 A comparator test kit that can be used to measure copper present in system waters. Copper present in system waters may indicate copper corrosion and will need to be addressed. Can also be used to measure copper algaecide levels in swimming pools, hot tubs and water features. This kit will measure total and free copper.